Waterproof and metal free contact. Elegantly designed, and equipped with convenient twist lock, airless bottle #310026 will make your products standing out on the shelf, and also offer good user experience to consumers. Available in 15ml, 30ml and 50ml. COPCO China releses new airless packaging design that is eye candy for consumers - PP airless bottle #310040, available in 3 different sizes, 15m, 30ml, and 50ml. All plastic trigger Sprayer 28/410, a nice choice for you to reduce carbon footprint. Dual color shroud with great performance and a large dosage of 1.2-1.4ml/T. COPCO releases new collection of amber bottle from 90ml to 400ml. Applicable for skincare products such as facial lotion and toner, and also body care items like body wash, shampoo and conditioner. With neck sizes of 24/410 and 28/410, you can use cap, lotion pump and mist sprayer freely on these bottles. These bottles are made of PP or PE material, which can be made into beautiful colors from molding, equipped with screw caps or flip top caps, then packed into a nice plastic box by 2 or 3pcs as a set. Due to their small volume and good design, they'll be perfect to use in hospitality amenities also. 300ml PET foaming bottle (Bottle: #110154 / Foam pump: #460003 / Neck size: 40/410), bottle and pump can be made into customized colors and tailored printing decoration.. Neck size 43/410 & 40/410, sizes from 100ml to 620ml. With our expertise on plastic, we can produce plastic bottles in metallic look. This collection is an example, PET bottles in silver color look like metal ones. There are several capacity options available: 320 ml, 200 ml, 150 ml, and 100 ml. COPCO＊s new product this week is a collection of cylindrical HDPE bottles with decorative ring on the bottle neck. There are three different sizes available: 120ml, 180ml and 230ml.They can be lotion bottles or spray bottles as you wish. With neck sizes of 20/410 and 24/410, lots of lotion pump or mist sprayer for your choice. COPCO releases a new collection of PET bottles that are specially designed for toner & lotion. 180ml bottle for toner, orifice diameter of the insert is small which is 3mm, to control the output of liquidy toner. 125ml for lotion, orifice of the insert is bigger, so that consumer can get the product easier. 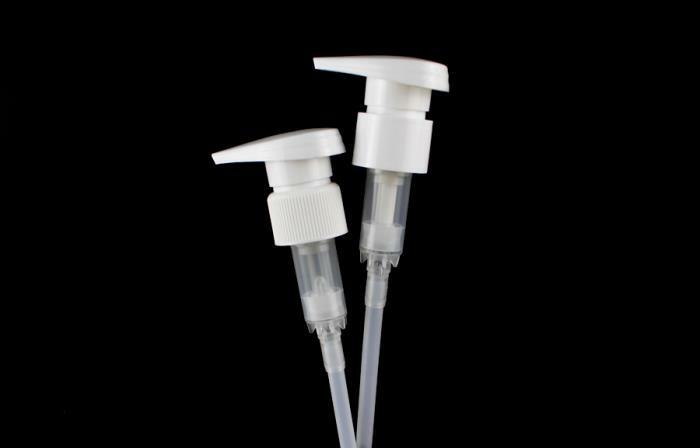 The lotion bottle introduces a new insert in structure which has a lip to lead the product out in a nice and neat way, without contaminating the insert and bottle neck. In this way, it's also suitable for oil products. COPCO's new product is a collection of Skincare package with a beautiful contour inspired by water drop. The collection includes 5 bottles and 3 jars in different sizes and with various lids which will be great for skincare items from toner, lotion, to cream and mask. Cleansing Package: complete packaging solution available for all sorts of cleansing formulae. Rich Foam Package: new foam pump is now available to provide better, creamy, and smooth foam. Make-up Package: cosmetic packaging designed for eyes, lips, and face make up products. Skincare Package: various type of bottles and jars designed for premium skincare products. 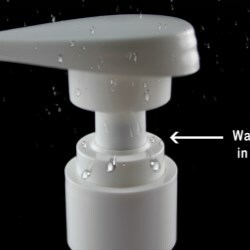 Foaming Hand Wash with left-right lock features waterproof closure, no water or steam in, zero pollution for inside liquid! COPCO releases a new PET packaging dropper bottle in heavy wall design. It has translucent quality similar to glass but shatter proof. With capacity of 35ml, neck size of 20/410, customized color manipulation, silver collar, and glass pipette, the entire packaging design offers a premium look for beauty and cosmetic products. 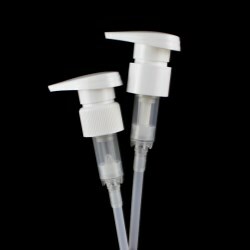 Are you looking for lotion pump? Here is a recommend one to you. It’s designed for viscous liquids, with strong pumping force, can perfectly atomize thick formulas into mist. COPCO releases a new skincare packaging collection for toner, lotion, serum, cream and sample pack, featured translucent black containers with black metalized cover. Surprisingly, the entire dark toned collection has successfully presented simple and luxurious design for premium brands. COPCO is launching a new series of PET bottles in square shape. Available sizes are 160ml, 250ml, 500ml, 650ml and 1000ml. These bottles can be made in high level of transparency using Japan-imported material. COPCO releases its new PET packaging bottles for SKINCARE brands to build a complete collection. Matched with different dispensing systems, they are applicable for products from facial cleanser, toner, lotion to cream. 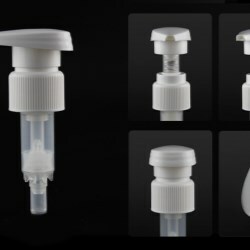 There are 30ml, 50ml, 100ml, 150ml, 200ml size variations available matching with different caps, dispensers, lotion pumps caps, and mist sprayers. The PET bottles can be decorated with sprayed matte, born matte, silk screen printing, and hot stamping. Are you looking for foaming bottle ? If so, please kindly look at item #110070 .